Expect to see bandannas on Fashion Week attendees. On Monday, the CFDA announced its plans to partner with Planned Parenthood and raise visibility for the organization during New York Fashion Week with bright-pink pins. Now, another industry stalwart, Business of Fashion, has put together an initiative called #TiedTogether, which will encourage designers, models, and show attendees to wear white bandannas during the coming fashion weeks, as a symbol of inclusivity for all people. At today’s Tommy Hilfiger show in Venice Beach, the bandannas will be incorporated into some models’ looks, and attendees will be encouraged to wear them as well. 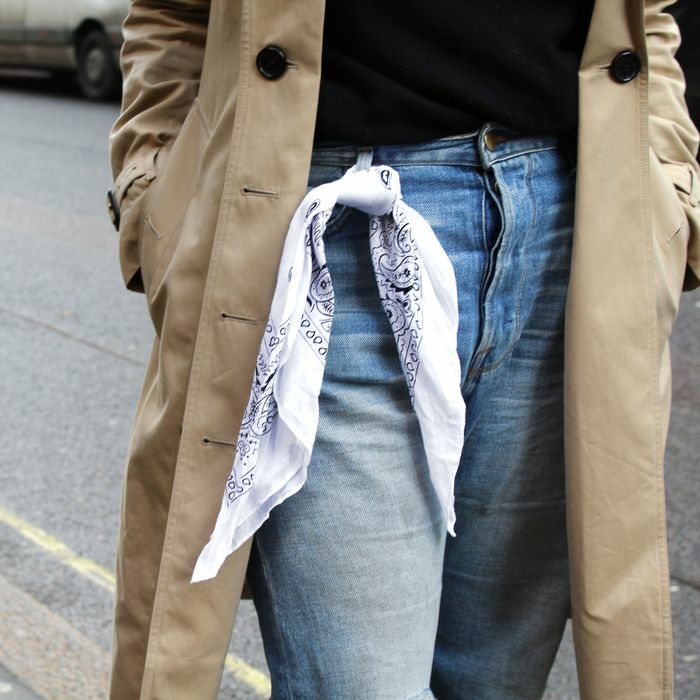 The publication is reaching out to designers, influencers, street-style photographers, and creatives from all four fashion weeks — New York, London, Milan, and Paris — so expect to see plenty of white bandannas in your feed come Fashion Month.